Karen Rogers is one of America's first successful female jockeys. Her book, Racing With My Shadow, written by Karen Rogers, is a gripping autobiography of true life story. It is a story of tragedy and triumph both on and off the racetrack. Fast-paced, captivating, honest, and entertaining, this psychological journey inspires hope for those who have endured a difficult past. 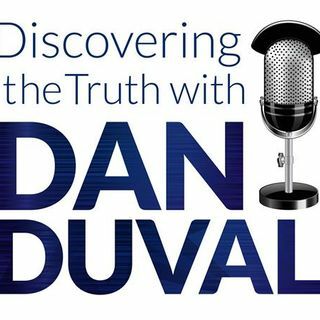 She joins us today on Discovering the Truth with Dan Duval to go into great detail on her testimony and the ... See More redemptive power of Jesus Christ. Hers is a story you will not forget. Be sure to check Karen out at www.racingwithmyshadow.com.